Used to attach paper backed discs to their backing pad. 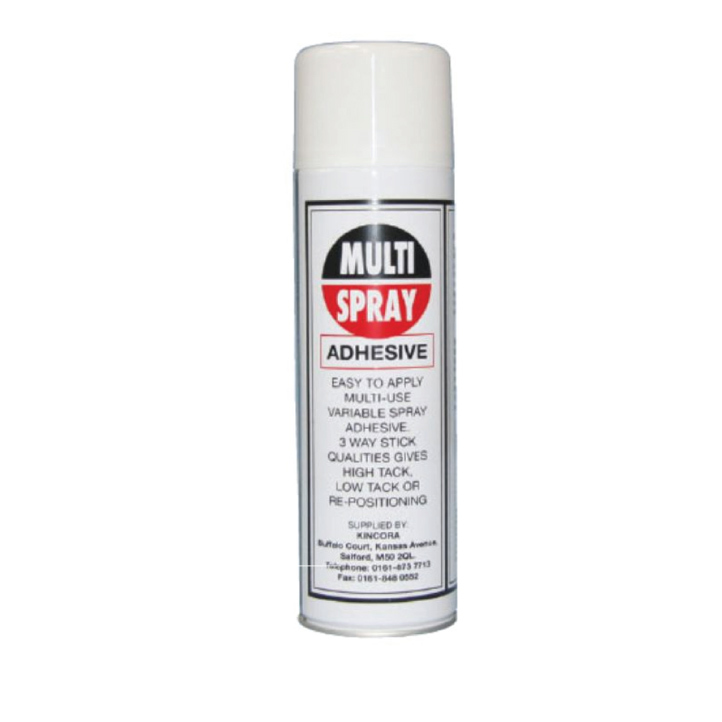 Multi Spray is an cost effective easily applied adhesive in aerosol form. Sold individually, case quantity 12 tins.